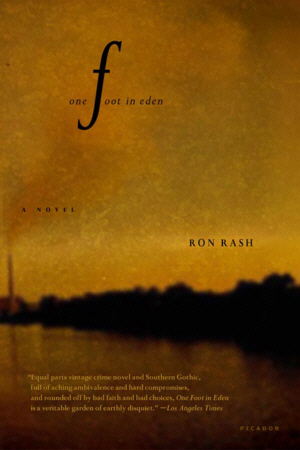 A richly textured story of love and murder, ONE FOOT IN EDEN is the first novel from acclaimed poet and short-fiction writer Ron Rash. In beautifully crafted language, ONE FOOT IN EDEN unfolds through the distinctive voices of a small-town sheriff, a young married couple, and those who share in their secrets. Set in Appalachia, the story is also a tribute to a time, place, and a way of life slowly vanishing from the modern South. Rash is a native Appalachian and writes with deep understanding and affection for a region often misunderstood. The powerful balance of story and unforgettable characters make ONE FOOT IN EDEN a most promising debut novel.